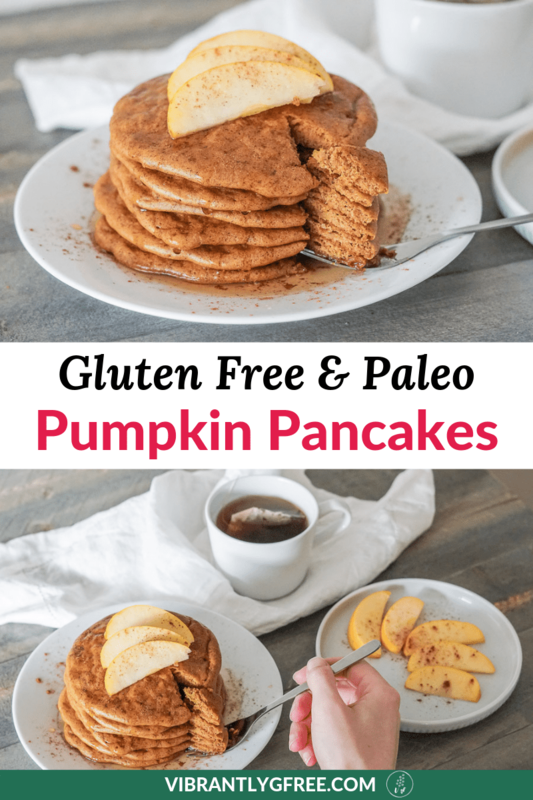 These paleo and gluten free pumpkin pancakes are moist, fluffy, and perfectly spiced! You can whip them up with only one-bowl and 8 ingredients. Healthy ingredients include creamy almond butter, pumpkin puree, a touch of honey, and tapioca flour for that super fluffy texture. We love that they are baked rather than fried! But don’t take our word for it – in just 25 minutes, you can make these delicious pumpkin pancakes for yourself! Pour pancake batter in 5” rounds onto the lined baking sheet. Bake pancakes for about 15 minutes or until edges appear slightly brown and the top has solidified. This recipe makes 12 -15 pancakes. A big thank you to Detoxinista for the recipe inspiration. Pin this image by clicking the ‘save’ button in the upper left corner! Looking for more pumpkin dessert or snack recipes? Check out our Paleo Pumpkin Muffins: a healthy & delicious take-along snack! and Paleo Crustless Pumpkin Pie! P.S. 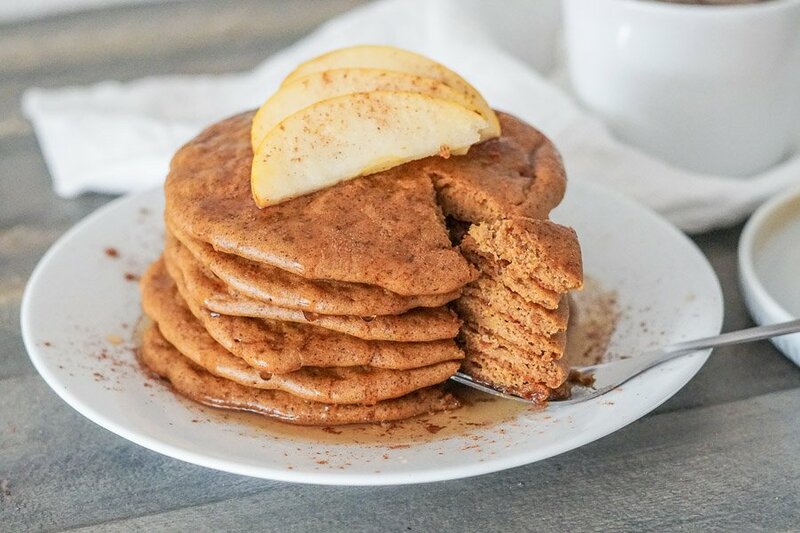 – Tag a photo of your gluten free pumpkin pancakes on instagram using #vibrantlygfree, and let us know how it goes in the comments! 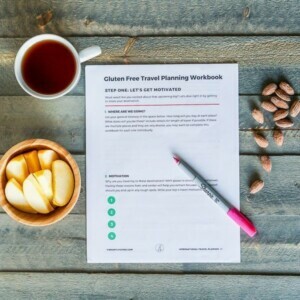 A free 6-page workbook to thoroughly prepare you for any g-Free trip! Previous Post: « Gluten Free Blondies: Paleo, Dairy free, & Delicious!